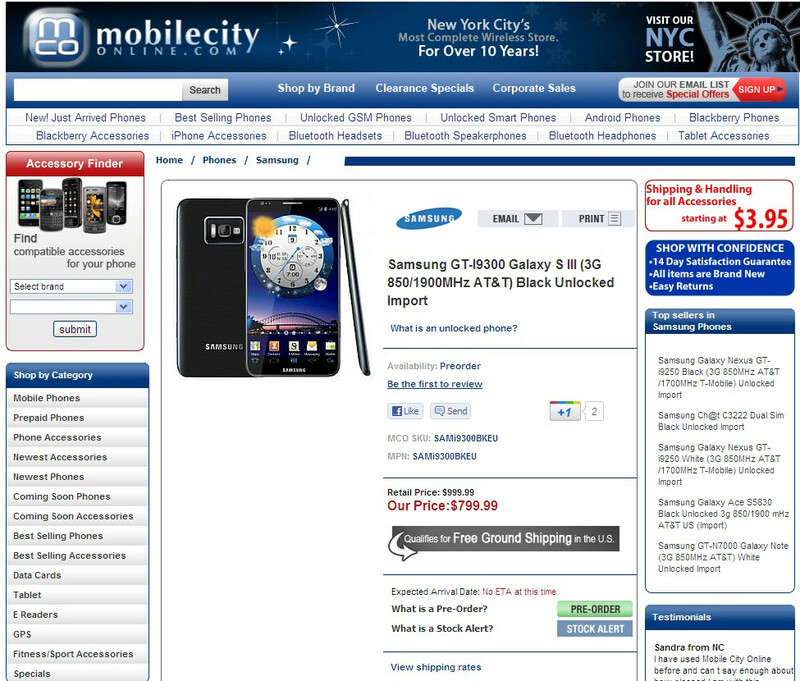 Hmm, it looks like some retailers are so desperate to cash in on the Samsung Galaxy S III hype that they are willing to start accepting pre-orders for the device. And the smartphone itself has not even been officially unveiled yet, although we have seen fan-made concept renderings before, just like the one the retailer decided to use for its pre-order page. That said, if you happen to come across a pre-order page for the Samsung Galaxy S III, (or any other smarthpone that is not yet official, for that matter) just leave it alone and don't even think of reaching out for your credit card. Especially when it is priced at $799 off-contract. You simply don't know where your money may end up. 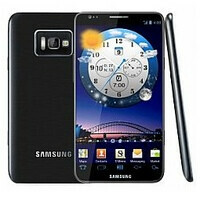 What is believed about the Samsung Galaxy S III is that it will come in July of this year. Rest assured that we will let you know as soon as it is made official. Agree. You're definitely a certified stupid i dunno if you pre-ordered a not yet official, not yet announced device. What are you talking about?!? I just got my Samsung Galaxy S III already. It's so cool & so fast. you are nuts.i hate you. how? it is not official yet. you got a prototype or preproduction unit? from where. how much. It's just stupidity. Like cepcamba said it's not yet official and not yet announced so you're ordering a phone that to your knowledge doesn't even exist yet. That is so ****** up . This website is selling a phone that is not even officially announced. LOL and that is how the sgs 3 is going to look. These guys don't even know what they are selling. No offense to the Samsung crowd due to the fact that even i am waiting for this but i wouldn't buy it from this site. lol, they would have better luck putting up a pre-order page for the "iPhone 6" or "The new iPhone". I'm sure the iFans would totally find it legit, as long as it has a Apple logo on it. This isn't the first time, I remember Gamestop putting up preorders for Final Fantasy 13: Versus... and the game hasn't been announced to be released even till now. From what I remember, Mobilecity was a legit business tho, I don't know if they're still legit now. After you pony up $799 I have some property for sale that is guaranteed to be filled with gold nuggets.